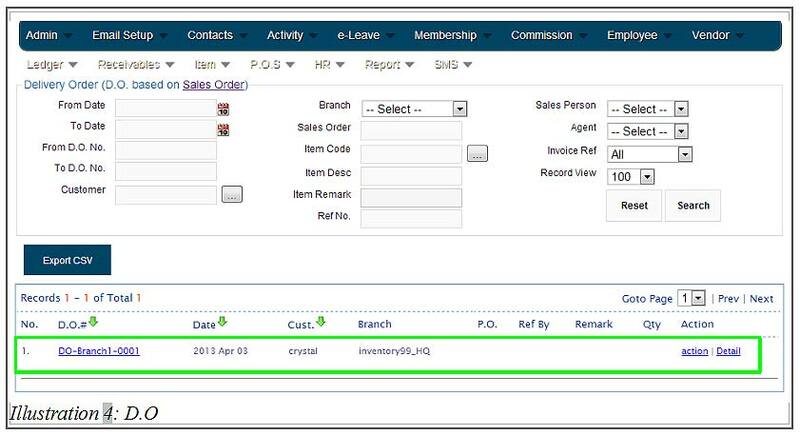 As we have mentioned in previous tutorial, BMO Online Inventory Malaysia allows configuring the inventory system flow to follow to your own company inventory setting. Your company will decide and choose the inventory setting. Once the settings are applied and sales is made, the inventory setting will not allowed to change anymore. 1. Go to Receivables > Sales Order > Sales Order List. 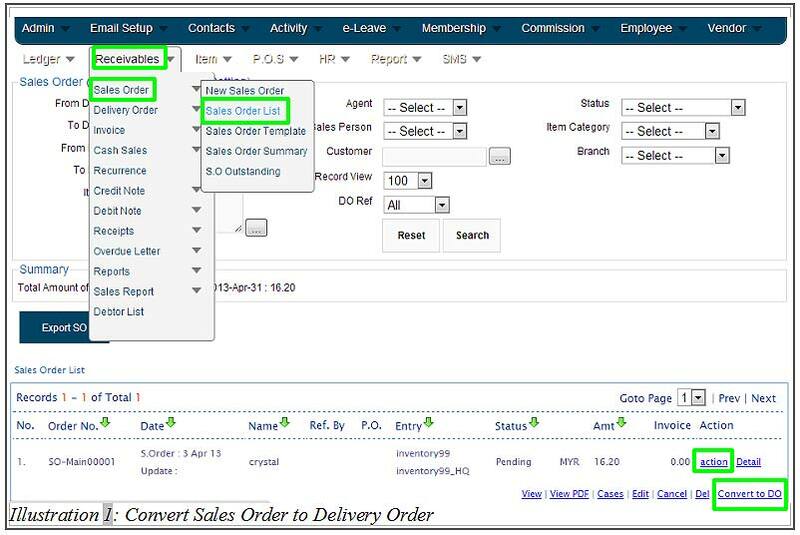 Then, click action at the end of the Sales Order that you wanted to create Delivery Order. Click Convert to DO. 2. After clicking Convert to DO, the system will automatically pass the Sales Order item to Delivery Order. At this point, your company may decide to change the quantity of item delivery ( e.g. send 1 or any number of item first but the quantity must not be more than the initial order ) . Click Save. 3. You will be notified that the Delivery Order has been successfully added. Shortly after the first notification, you will receive another message that the cash sales has been successfully added. 4. You can find the Delivery Order record by going to Receivables > Delivery Order > Delivery Order List.